When Bill and Bob come to visit me, they always bring a mountain of toys. 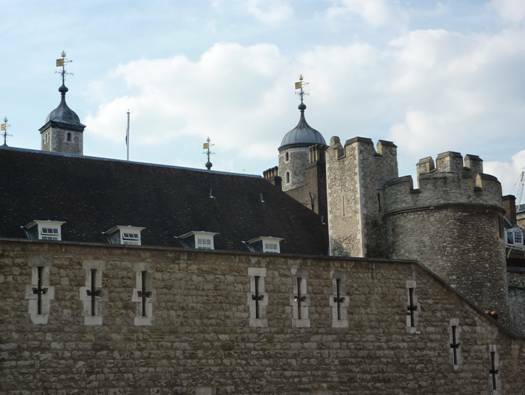 One of their favourite toys is a toy castle with a lot of mediaeval soldiers. 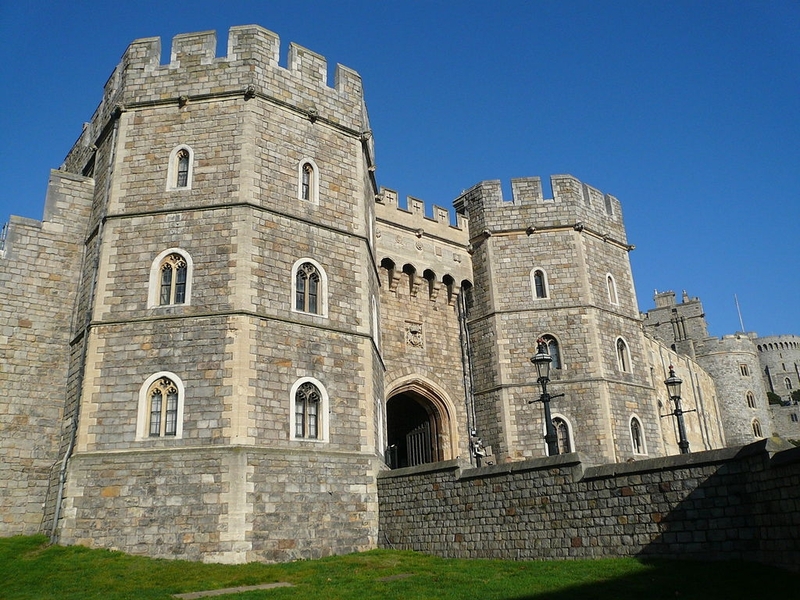 l was telling them this week about how castles came about and how people used them in battles. About 2,000 years ago, people were constantly fearful that their village could be attacked and so they built their towns on high flat topped hills. They created ridges down the sides of the hills and there was a ditch running around the bottom of the hill and a tall wooden fence running around the outside of the village. The houses were just roughly built huts, and the fence had to be made from a row of sturdy logs to give protection to the homesteads. These villages were called hill forts and the walls around them were called palisades. 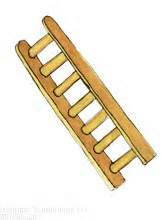 Then someone invented the ladder. Homesteads had to become more fortified. 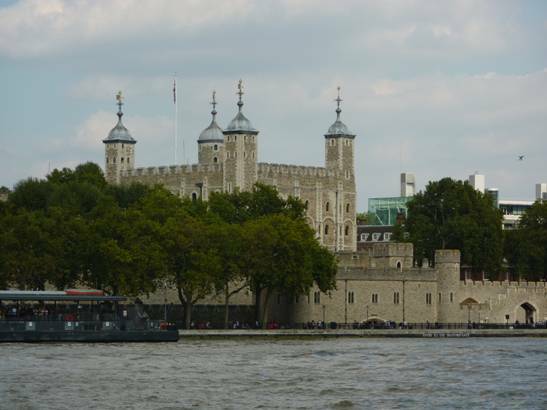 ln early times, a tall building called a bailey was built on top of a tall mound (mini hill) called a motte. This was a place the villagers could run to when they were being attacked. Nobody really ever wanted to go to war. lt was miserable and expensive, but if negotiation (talking) didn’t work, then a whole range of weapons and fighting tactics were developed that could be used in battle. And this way of living carried on all through the Dark Ages. 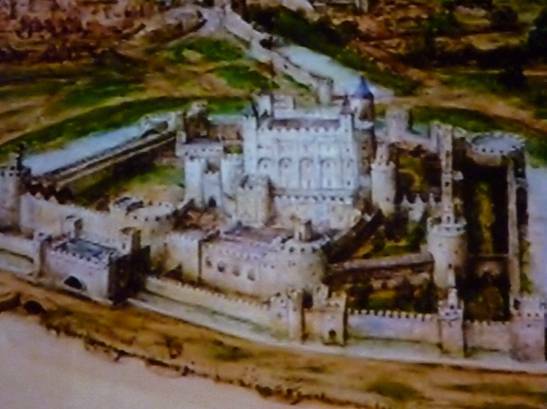 The baileys became stronger when they were built of stone instead of wood, and the palisades became the stone ‘curtain walls’ of castles. The ditches were flooded and became moats. 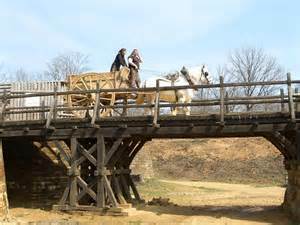 The only way into the town would be across a drawbridge – a bridge that could be lifted up to seal the entrance. 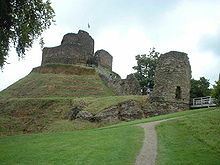 The fortified tower in a motte and bailey style of castle is sometimes called a keep. 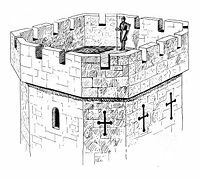 The tops of the bailey and curtain walls were crenulated which meant that archers had blocks of wall to hide behind for protection when they were aiming weapons at an enemy beneath. 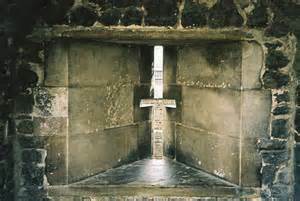 The windows were slits in the walls, easy to see out of, wide enough for an archer to fire an arrow from but not so easy to aim an arrow into. The castles we see today are either ruins or at least a skeleton of what they once were. We see stone walls inside and out, but the insides were, at the time people lived there, whitewashed and decorated with colourful wall paintings and fabric wall hangings. There was also padded furniture. 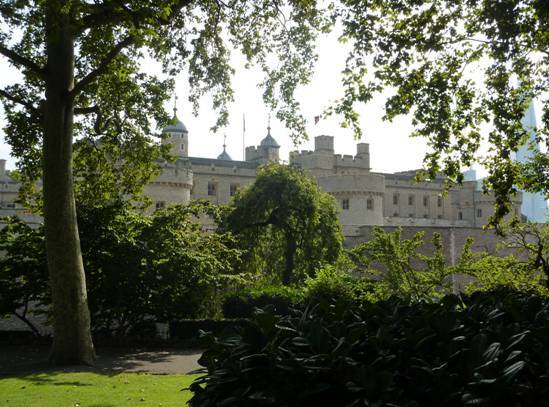 The castles were made for living and entertaining not just for defence. lf a settlement was attacked, the people could run to the castle for shelter. But sieges could last for many weeks and a strategy of an attacker could be to starve the people out instead of attacking them; and castles more often than not were conquered due to starvation. 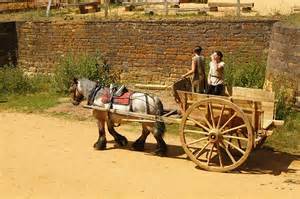 To try and counteract this, the people would have wells inside the castle to give them water and a store of food and animals to give them food and fresh milk. lf they knew attackers were coming, sometimes they would destroy their own crops to make sure the attackers outside the castle would have nothing to eat other than what they had brought with them. But then sometimes things got really nasty and they began to fight. 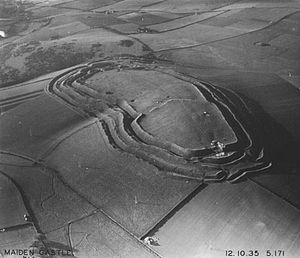 Castles would be built at the top of the highest hill in the area, which meant that the people inside could throw things down on their attackers – arrows, spears, axes, rocks. 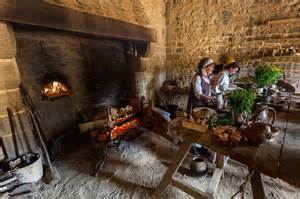 The people outside the castle would throw in pots of burning tar or dead animals and manure hoping to spread disease; they would try and poison the water supply. 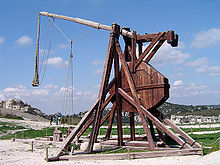 They could fling large things high into the air by using something called a trebuchet (pronounced tray-boo-shay) which was in effect, an enormous catapult built on a portable wooden tower. These machines could hurl very heavy things through the air for hundreds of metres. The soldiers even used chemical welfare. They used quicklime (which is an alkaline that burns the skin) and Greek fire which was a compound that created fires that couldn’t be put out with water. 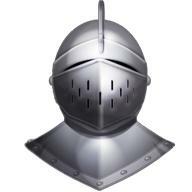 Even suits of armour couldn’t protect the soldiers because these chemicals could get in through the cracks in them. 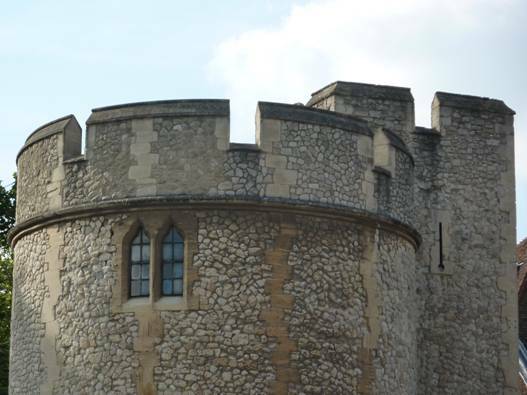 The attackers would also try and tunnel under the castle weakening the walls from beneath hoping to bring the massive structure down. 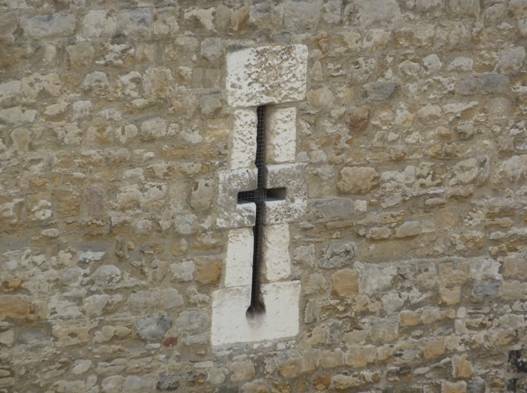 This plan was especially effective at a corner of a castle. For hundreds of years people fought like this. 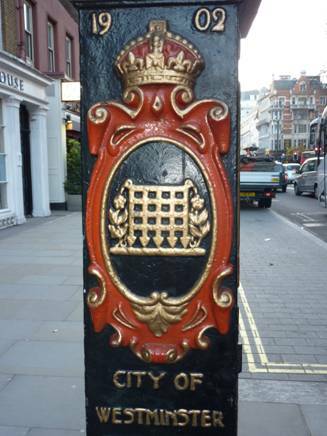 But under Henry Vll (Henry Vlll’s dad) and Henry Vlll (the king with six wives) the country became united. There was only one national army that operated under the king; and with a newly-found security in the land, people could start living in houses built for comfort rather than protection. They even started to build gardens around them. 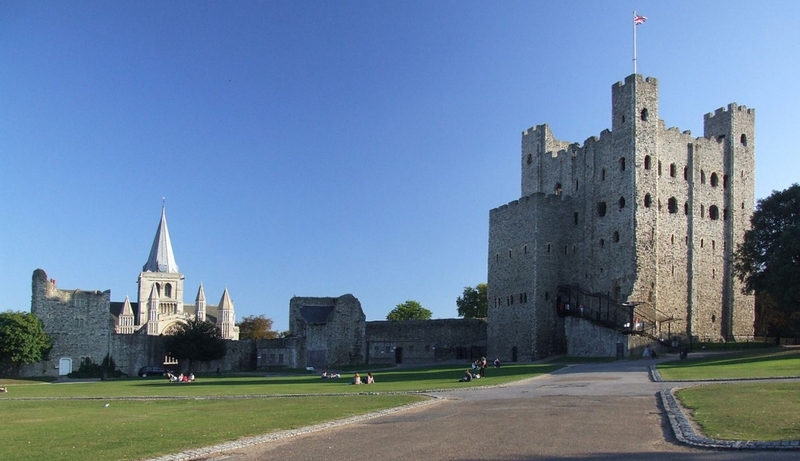 These old castles were built so strongly though, that they survived long after they were constructed and were still used through the years as homes and hospitals and museums and tourist attractions. 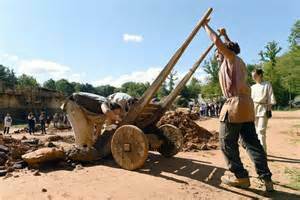 Some of them are 800 maybe 1,000 years old and are still as sturdy today as they were when they were built. l don’t think Bill and Bob’s castle will last a thousand years the way they play with it. 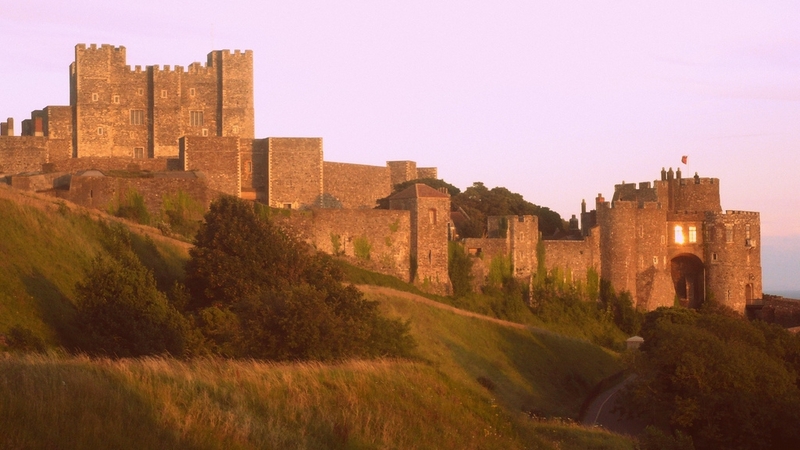 Have you ever visited a castle? Bob: What do you get when you sit under a cow? Bill: l don’t know. What do you get when you sit under a cow? 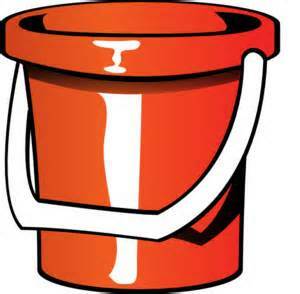 Bob: A pat on the head! 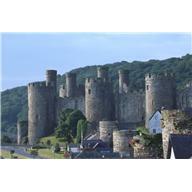 Of course people are still building castles today. Yes really – out of sand. 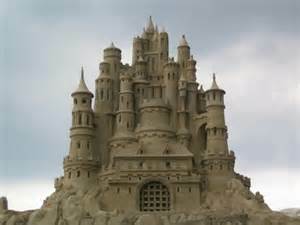 At some seaside resorts sand castle building has become a beautiful art form that even adults take part in. The UK National Sandcastle Competition is held in North Devon. 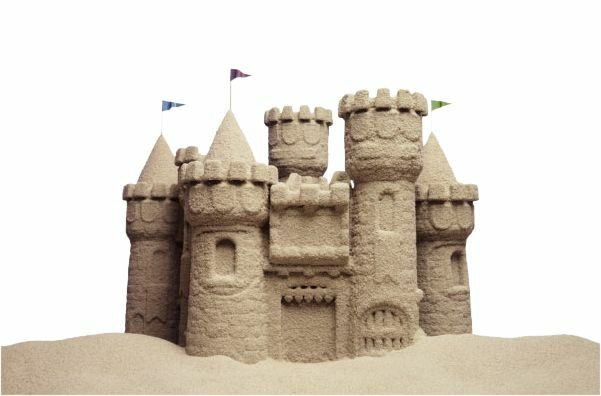 But it isn’t just castles that people make; it can be any object the competitor feels could be made out of sand. There are other beaches that hold this type of competition but the sand has to be a good type for building up into shapes. And of course, there are many countries that have competitions. If you want to see some spectacular examples of sand building, then check out the website called Incredible Sandcastle Competitions in North America. Also have a look at International Sandcastle Competition on You Tube. 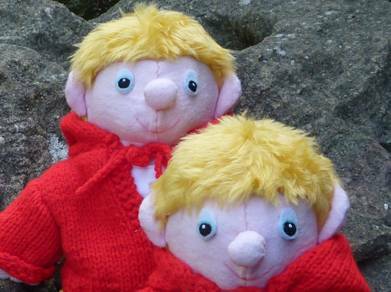 Bill and Bob had to concede that their sandcastles weren’t quite as good as these sculptures – even though they have won prizes for their sandcastles in Sandy Cove before. They said they were practising to be as good. 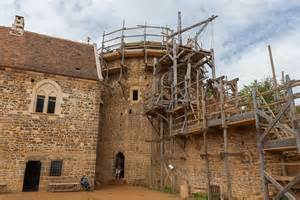 And you might like to know that there is also a brand new mediaeval-style castle being built in France. 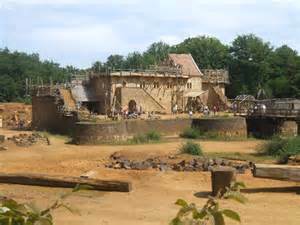 Guedelon Castle is being built in Burgundy about 100 miles south of Paris. 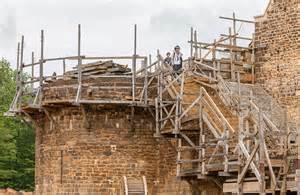 The project is scheduled to take 25 years to complete which seems like a long time, but the people building it are using the same tools, techniques and materials that were used in the 13th century. They are even wearing mediaeval clothes as they work. It is the biggest project of its kind in the world. 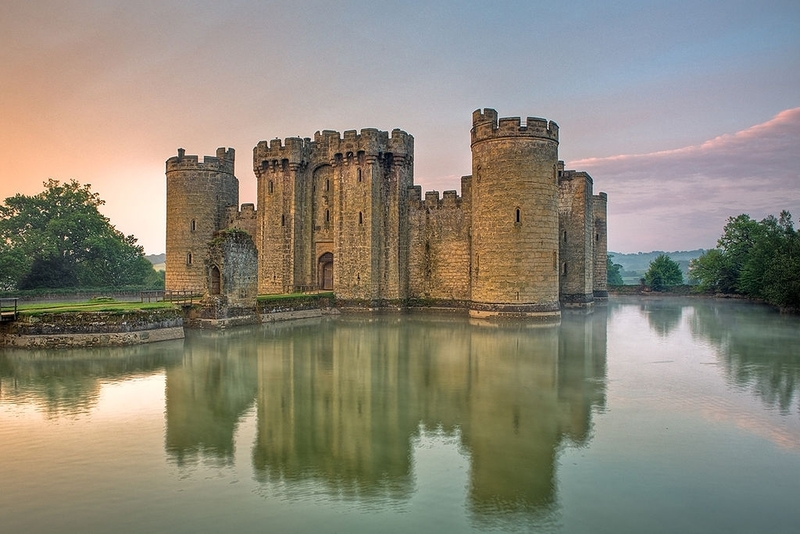 Can you solve this ladder word puzzle and get from castle moat to chain mail? Each four-letter word answer has one letter different from the word before. 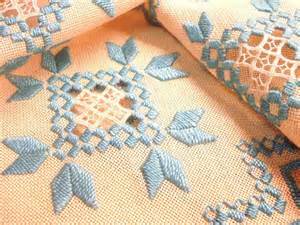 The origin of Hardanger embroidery is not really known, but nowadays most people associate it with Norway. The embroidery is traditionally worked in white but nowadays any colours can be used. 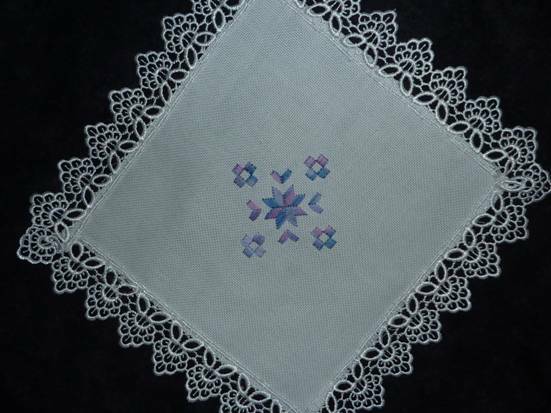 The embroidery usually uses geometric shapes like squares and rectangles, triangles, zigzags and crosses. 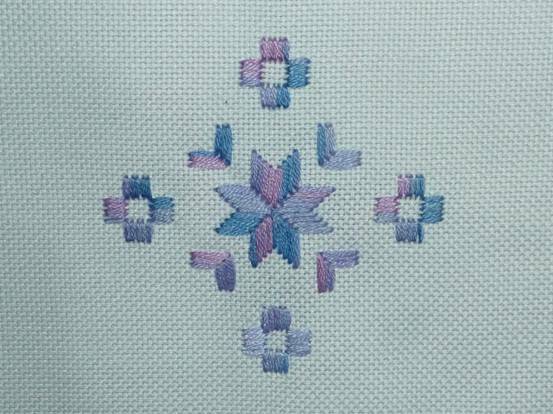 The satin stitch blocks used are called Kloster blocks. They are worked around holes in the fabric which produces a lacy effect. 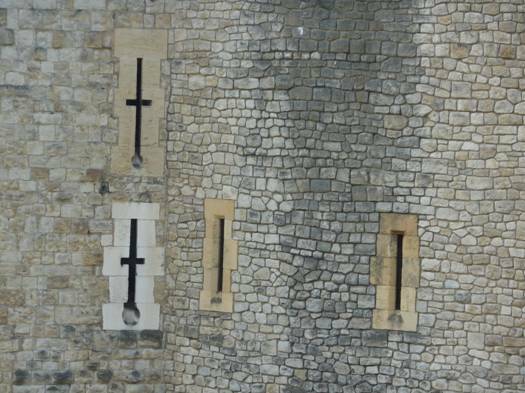 They are a similar shape to the crenulations on the top of a castle wall. 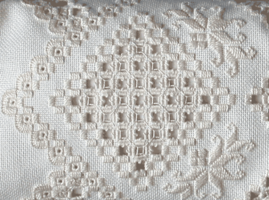 Perlé cotton is usually used on 22-count Hardanger fabric. *If the count of the fabric is higher the threads in the weave are thinner so you would use thinner threads, but this would not be so suitable for a beginner. All of this sounds very complicated but it isn’t really. 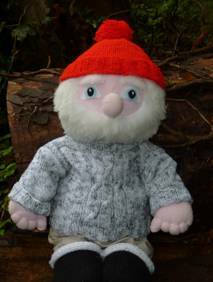 The important thing is to start on a simple project or a kit with instructions to help you. 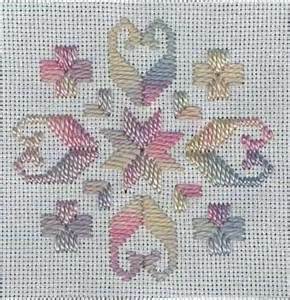 The project for a table centre in the photograph below was worked with 6 strands of rainbow embroidery thread. It is really easy to do. The fabric is 19cm/7½ inches of even-weave fabric. Over-sew the edges of the fabric to stop it fraying. Find the centre point of your fabric. 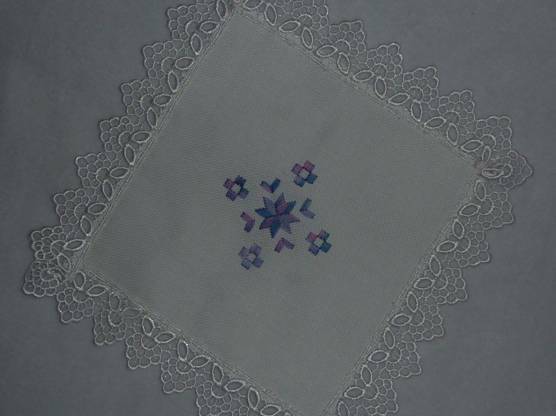 The centre star has a centre stitch with 4 stitches each side of it worked over 8 squares in the fabric in each side. The outside edges of the corners are over 8 squares in the fabric and have 2 more stitches worked inside them lining up with the outside edges. The flowers are four Kloster blocks each with 5 stitches over 5 squares in the fabric. Trim the edges of the work with some lace. Of course you can make your own design – just be careful to keep your counting even. 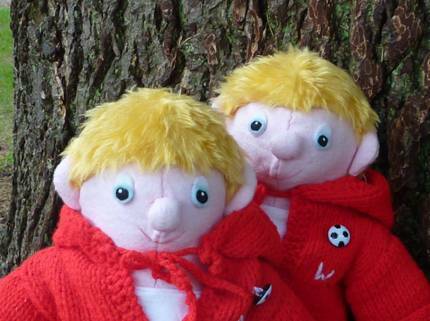 There is no need to do a lot of stitching to create a very attractive effect. Use washable threads, and if you need to wash your work, hand wash it gently.